Did you know the Remembrance poppy had Ayrshire roots? The poppy was, of course, chosen as the flower of Remembrance because of its prevalence around the battlefields in WW1, but also because of the poem ‘In Flanders Fields’ by John McCrae – a war poet who traced his ancestry back to New Cumnock. 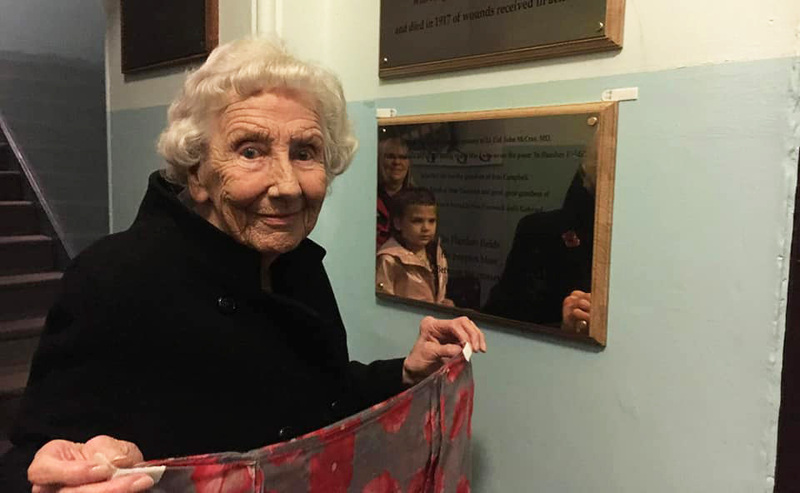 Thanks to local funding provided by New Cumnock Wind Farms, New Cumnock Parish Church’s Commemoration Group commissioned a new memorial plaque to John McCrae which was unveiled at a ‘Ring Out For Peace’ service on Remembrance Day (11 November). 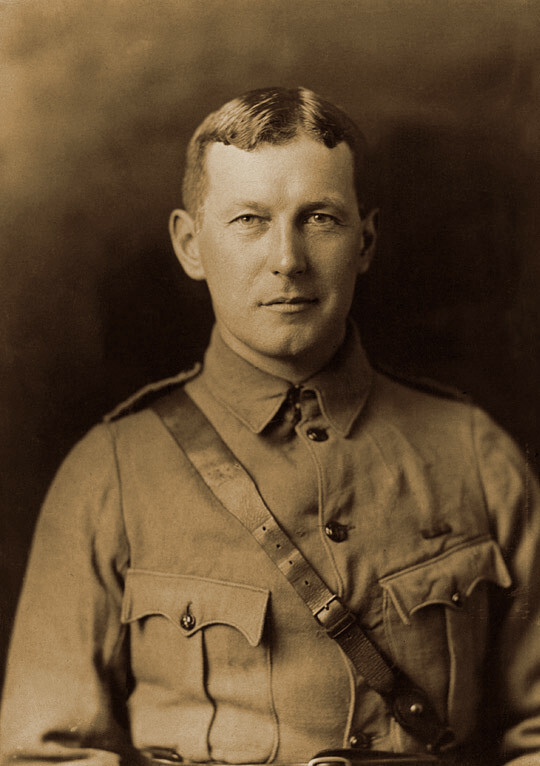 John McCrae served in the Canadian Army Medical Corps, and was a surgeon during the second battle of Ypres during the First World War. His grandmother, Jean Campbell, was from New Cumnock and his great great grandfather, Ivie Campbell, is buried in New Cumnock Auld Kirkyard. “The story of John McCrae is like a flower. John is the stem - the man himself a dedicated doctor and surgeon, and a gifted writer, artist and poet. “Born in the town of Guelph, about 60 miles west of Toronto in Canada, he led a very fruitful life. But the flower and crowning glory of his life was his poem 'In Flanders Fields', the poem which led to the poppy being adopted as a symbol of Remembrance. “He was looking after the injured at the battle of Ypres Salient in 1915. A friend of his had died and John had conducted his funeral as no chaplain could be found. “The next day, as John looked out over his friend's grave, he saw the poppies bloom and so this most famous of poems also began to flower in John's heart and mind and imagination. 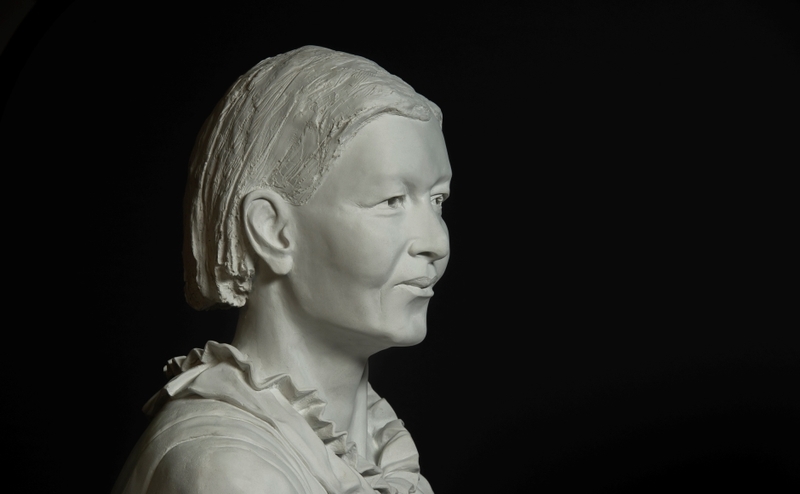 “And so we unveil this plaque to honour the stem who was the man, the flower that was the poem and the roots that go deep through Canadian and Scottish soil - all the way to Maneight Farm in New Cumnock, where his grandmother, Jean Campbell was born. “The Campbell family –known as the 'Ivie League'—are delighted that the plaque has been unveiled and the staff of the museum in Guelph, John McCrae's home town in Canada, hope to contact his surviving relatives with the story. 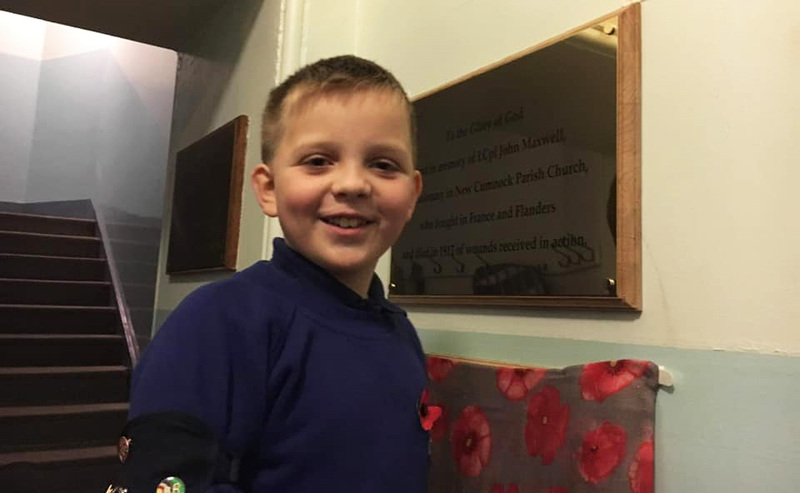 Another memorial plaque unveiled on Remembrance Day has been dedicated to John Maxwell, a missionary employed by New Cumnock Parish Church. In full military uniform before going to war, John preached his final sermon in the town with the theme taken from the verse of a hymn which is still popular today: I’ll go in the strength of the Lord, to what He appoints me to do. John Maxwell returned to the front to continue to serve with the Argyll and Sutherland Highlanders, taking part in the third battle of Ypres (Passchendaele), where he was wounded and subsequently died from his injuries. “The poem and the poppy are very poignant reminders of WWI and help us reflect on all wars and especially those who gave their lives. 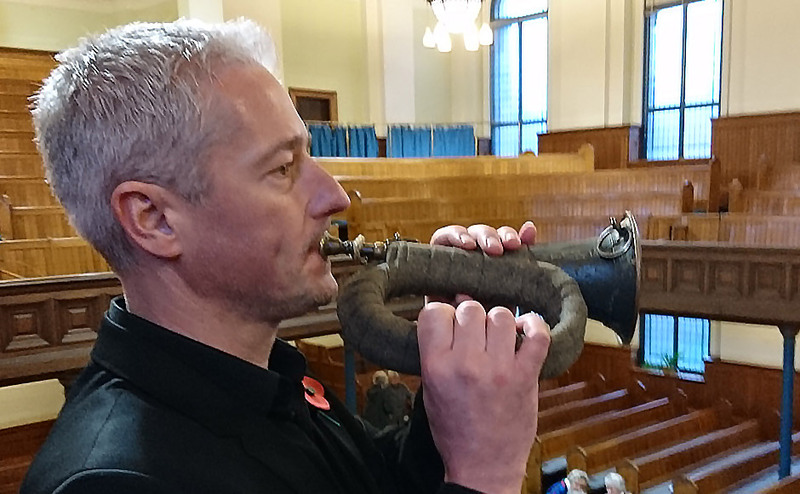 “The commemorative events and services help draw the community together to remember and give thanks. 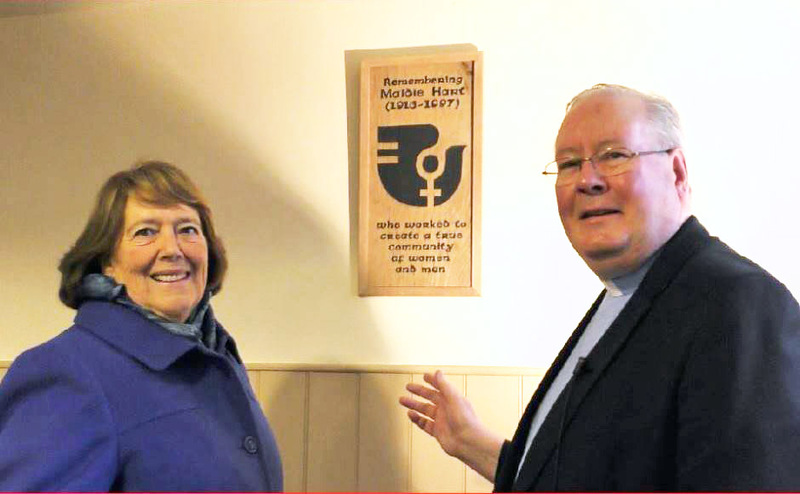 The plaques commemorating John McCrae and John Maxwell are now on display at New Cumnock Parish Church in Ayrshire.